Great Job Kevin it brings me back to when I bought that live album.Took it home and I remember just playing it over and over I think I bout all Yes albums at least two times and some I bought three times. I remember when the movie came out it was the first time I actually had the chance to see them live I don’t remember the exact year but it was just the most wonderful thing I had ever experienced in my young life.I do remember that they did change the order and I’m sure it was all Alan but it was so many years ago I could be wrong (very possible I’m wrong it was the 70’s) I look forward to next week for part 2 I always look forward to the next Podcast. Keep up the great work It matters! Thanks, Paul. Strangely enough, I’ve never seen the film! I intend to get hold of it and do an episode about it at some point. There’s just so much material out there – which is fantastic! Knowing I can rely on you to listen and comment is wonderful – thanks so much once again. The VHS release of “Yessongs”, which I bought in the early 90s, is Bruford throughout and a totally different concert from the album. Don’t know if this is the same as the movie. A footnote regarding Firebird Suite. Before I started listening to classical music, I was only familiar with this piece thanks to Yessongs. So I assumed (incorrectly) that it was written as an introduction. I only discovered my error when I was visiting an art gallery, and the piece was being played over the speakers. I waited in eager anticipation to find out what would follow instead of Siberian Khatru, and of course it led to… disappointing silence. I now have plenty of Stravinsky my music collection, but I still find it hard to hear this piece as a conclusion! Thanks so much for the comment. Keep listening! Excellent episode Kevin and lovely to hear that you are onto the live albums – I think I play the live tracks more often than the equivalent studio tracks. There is just something about the atmosphere with such great musicians playing together with an edge (well…close to the edge) that you just don’t get from the ‘perfection’ of studio overdubs. 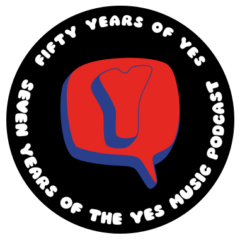 PS – I agree with Russell – That part of Firebird Suite really needs Siberian Khatru (Yessongs) or Parallels (Yesshows) or Yours Is No Disgrace (Union Live & House of Yes) …to follow it. I get goosebumps everytime. I see what you mean about the atmosphere of the live recordings and it’s been particularly fascinating to listen to Yessongs straight after the BBC recordings. Wow, what a contrast! A few years ago I was in Las Vegas and went to a magic show by Lance Burton. At one point in the show Firebird started up. I can’t remember what the trick was or the climax because that piece of music only means one thing to me – I was waiting for Siberian Khatru to kick in! Yes, it’s a bit of a Pavlov’s dogs moment for me as well! Thanks for the comment! Previous Previous post: Episode 32 – Your Yes Fantasy Live!